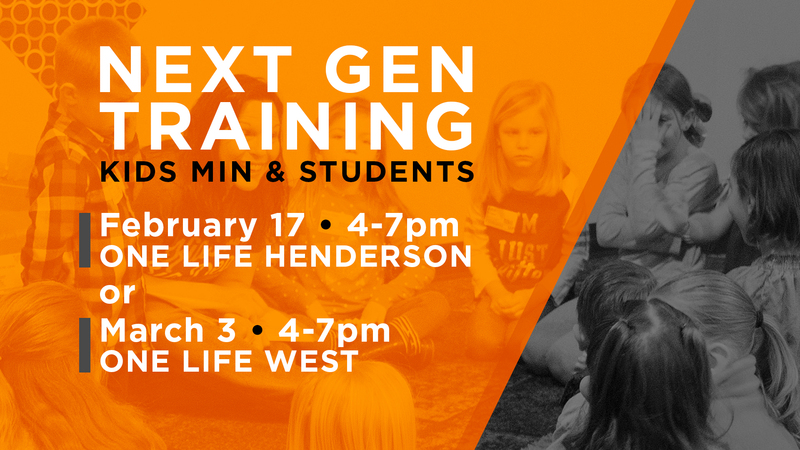 If you are a part of a One Life Kids or One Life Students team, we have 2 opportunities for you to come to our Next Gen Training event. This is a great time to be together as teams and learn together. Any Next Gen team member from any campus can attend either date. There are 2 options for you. Evansville West Campus – March 3 from 4:00PM-7:00PM. Childcare is available by RSVP only.